Are You Making Fat Loss Mistakes? Fat is the curse of every bodybuilder’s existence. It sits on top of your hard earned muscle and covers up all your hard work. But, if you want to get big, you need to eat plenty of calories, which inevitably leads to laying down the odd ounce of insulation. It is virtually impossible to grow to your full potential and stay super lean. You have to deal with a little fat gain. But, how do you deal with shedding that excess weight? Do you have a tried and tested method? Have you used the same diet and techniques for years? Do you often fall short of your goals? No, no, and no! The science of bodybuilding, strength training, and sport as a whole, advances constantly. If you want to achieve your goals and push yourself to new levels, you must take advantage of these advances. Experts continue to improve methods every day, based on new knowledge that comes from scrutinizing what we think we know.. So, throw down the old rulebook and get on the road to a leaner, more impressive body today. When it comes to cutting fat, most bodybuilders worry about losing their hard earned muscular gains – a genuine issue. However, with a measured approach and some sound planning, you can maintain muscle, while burning plenty of unwanted fat. One magical substance does both of those things naturally, already exists inside each and every one of us. That substance is testosterone, which is the primary anabolic hormone in humans. While stimulating muscle growth, it also promotes the burning of body fat for energy. Some ways to increase your natural testosterone levels, include eating healthy fats, training intensely, and getting plenty of good quality sleep. Taking Sheer Strength Labs Sheer Alpha Testosterone Booster seriously ramps up this effect. This blend of carefully selected, 100% natural, potent ingredients improves strength and vitality, as well as makes a big difference in your physique. The old idea that you must cut all fat from your diet if you want to lean up, is totally outdated. In fact, consuming good fats helps you lose body fat, and improves your overall health as well. 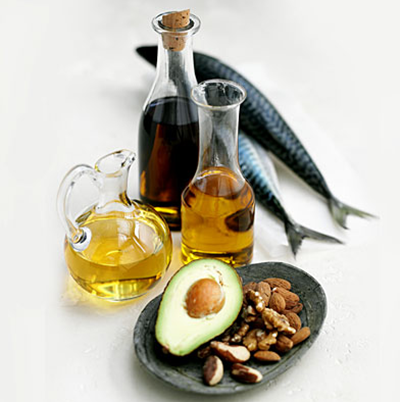 Good fats, such as those found in nuts, oily fish, seeds, and avocados, actually lower levels of harmful fats, like cholesterol, in the blood. They also serve to lower blood sugar levels, and prevent spikes in insulin – a major factor in weight gain. On top of all of this, consuming energy rich good fats helps to boost your metabolism, as well as keep you fuller for longer. This prevents cravings and burns even more fat via thermogenesis, or the creation of body heat. This is not to say that you should eat mountains of nuts and salmon drizzled in olive oil, in order to burn fat. Fat still contains more than double the calories per gram than carbohydrates or protein. You should aim to get 15 to 20% of your daily calories from mostly good fats, for optimum results. The rest of your calories should come from an adequate amount of good quality protein for your body weight, as well as, slow release complex carbohydrates. Good sources of complex carbs are oats, wholegrain breads, potatoes, brown rice, and pasta. Be aware that cooking drastically affects digestion time. Never overcook foods like pasta until they become soft and mushy, instead eat them when they are still firm to feel fuller for longer. As previously mentioned, thermogenesis represents an important factor in fat loss. An increase in body heat causes your body to burn more calories, even at rest. Like good fats, other foods such as chilli, ginger, coffee, and green tea also have a thermogenic effect. 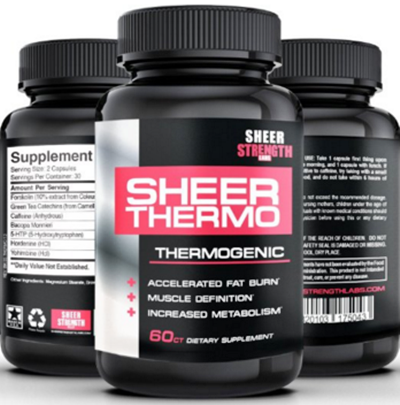 To enhance this potent fat burning effect, add Sheer Thermo Thermogenic Fat Burner to your supplement stack. This potent supplement is jam packed with scientifically proven ingredients that hike up your thermogenic potential, without any nasty side effects. In the cutting phase, you need to burn more calories than you consume. But, do not cut the calories so low that you don’t have enough energy to maintain your muscle mass. It is more important to eat the right foods, at the right time, than to constantly count calories. You only need to cut around 10% from your maintenance calorie figure to bring about healthy and controlled fat loss that causes you to lean up and reveal those cuts and striations that you worked so hard for. Eating little and often is the key. You can drop the calories, and get your ratios right, but if you eat huge mounds of food, you won’t achieve the results you want. 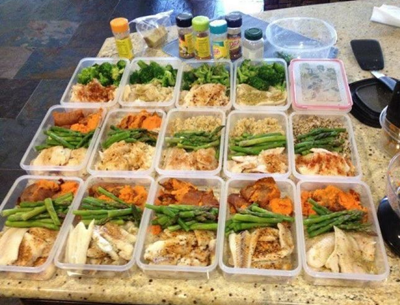 Try to divide your food up into 5, 6, or even 7 smaller meals if you can. Mass preparing meals saves time and allows you to carry healthy meals with you wherever you go. For many, many years, it was set in stone that, to burn fat, you had to spend hours plodding along on a treadmill. While that certainly provides one tool for fat loss, it is not the only way to do it. In fact, many experts believe in using a much faster and more convenient method, that can help you maintain muscle mass, while burning even more fat. This method is called HIIT, High Intensity Interval Training. You can complete a HIIT session in less than 20 minutes. The increasing popularity of this method comes from the fact that you can finish, get in and out of the shower, and drink a nice coffee well before your mates have finished trudging along on the treadmill! Experts continue to investigate the exact science behind HIIT, but it not only causes fat loss during training, but actually continues to do so for some time after completing your session. High intensity interval training is exactly what it sounds like. HIIT features a cardio training method where you perform short periods of high intensity bursts, followed by recovery phases. You can apply this to pretty much any form of cardio; from running to swimming, and from cycling to kayaking. You should warm up all relevant muscle groups and joints before starting your HIIT session. After this, you can start throwing in some high intensity intervals. For running exercises, you should sprint almost all out for 15 seconds before slowing to a recovery pace and totally regaining your breath. If new to HIIT and unaccustomed to heavily anaerobic exercise, this may take some getting used to. Aim to to do 30 to 45 second high intensity bursts, followed by less than a minute recovery time, for around 15 to 20 minutes. Always thoroughly warm down afterwards to avoid unwanted lactate build up in the muscles. 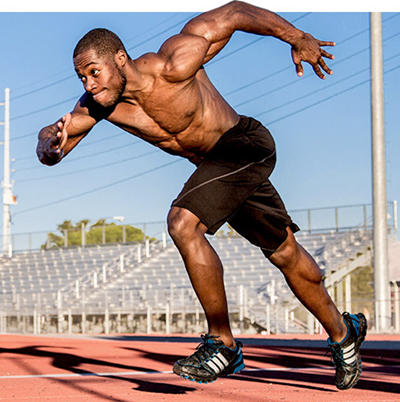 Sports and supplement science continues to make big advances all the time. You would be crazy not to take advantage of it. In addition to our excellent thermogenic fat burner, we have a great range of supplements that aid with fat loss and muscle maintenance. Our superb Pre-Workout Powder also comes packed with invigorating ingredients that pump you up for your workout, without leaving you jittery and energy less at the end. In addition to these, our BCAA Capsules help to prevent muscle tissue loss during intense training by fueling the muscles with all the amino acids that they need to get the most out of your workout. After your workout session, finish up by taking our Sheer Recovery Post-Workout supplement, which fuels your body with all it needs to begin preparation for your next session. The post Are You Making Fat Loss Mistakes? appeared first on .